Bredesen didn’t just build sports venues during his two terms. The next two mayors, Bill Purcell and Karl Dean, were builders, too. The result is a much more exciting, more culturally vibrant downtown that has pushed past the old borders, especially to the south. In his “helicopter speech” in 1993, Bredesen imagined a new main library facing the Parthenon in Centennial Park. He said he later came to believe it should be built at the head of Second Avenue, across from the courthouse. But it ended up in a beautiful, 300,000-square-foot, limestone building at 615 Church Street, where it opened in June 2001. “I like it better where it wound up,” Bredesen says. Bredesen and the Metro Council also provided funding so the Metro Development and Housing Agency could buy Nashville’s former main post office at Broadway and 10th Avenue. Marvin Runyon, a former U.S. postmaster general who lived in Nashville, had alerted the city that the building would be available once the U.S. Postal Service relocated the main post office. MDHA then leased the building to the Frist Center for the Visual Arts, which would provide world-class art exhibits in a central location. Dr. Thomas Frist Jr., one of the co-founders of the Nashville-based HCA hospital chain, says the Nashville’s Agenda group had listed a downtown art museum as one of about 20 civic priorities in the early 1990s. Eventually the pieces fell into place: Bredesen was a progressive mayor, Runyon identified the right property and HCA stock provided the funds. “It was the right people at the right place at the right time,” Frist says. Built by the Frist family and its foundation, the Frist Center opened in April 2001. Adding both the art facility and the new library would have been plenty of change for one downtown in one year, let alone one spring. But that wasn’t all. The Country Music Hall of Fame and Museum had long outgrown its Music Row location, which opened in 1967. When it moved to 222 Fifth Avenue South in May 2001, the hall of fame created a new anchor for SoBro, the part of downtown that lies south of Broadway. But those “Medicis” also have known when to hold back and get other people involved. Vince Gill, a contemporary country music star with deep respect for the musicians who came before him, says he was moved by philanthropist Martha Ingram’s response when she was asked to give to the new Country Music Hall of Fame. “She said, ‘What’s the music community giving and doing?’ ” Gill remembered. “And they had to say a resounding, ‘Not much.’ And she said, ‘There’s your answer.’ And I thought, man, how profound and how smart. Taylor Swift gave $4.5 million to create an education center at the Hall of Fame, while Keith Urban started “We’re All for the Hall,” an annual fundraising concert featuring Gill and other stars. As the Country Music Hall of Fame and Museum was making its plans to move to SoBro at the beginning of the 21st century, Martha Ingram was working on her own project – one that would wind up on another corner of the same intersection. 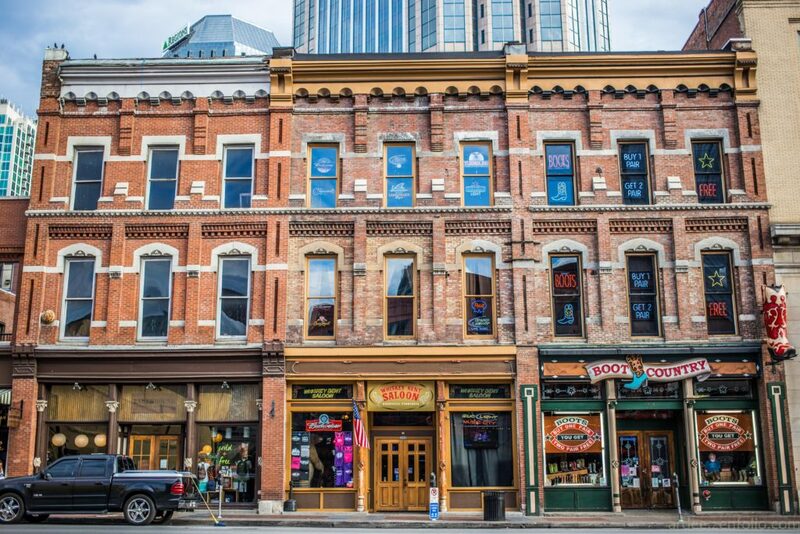 The honky-tonks and boot shops of Lower Broadway bring people in year-round. 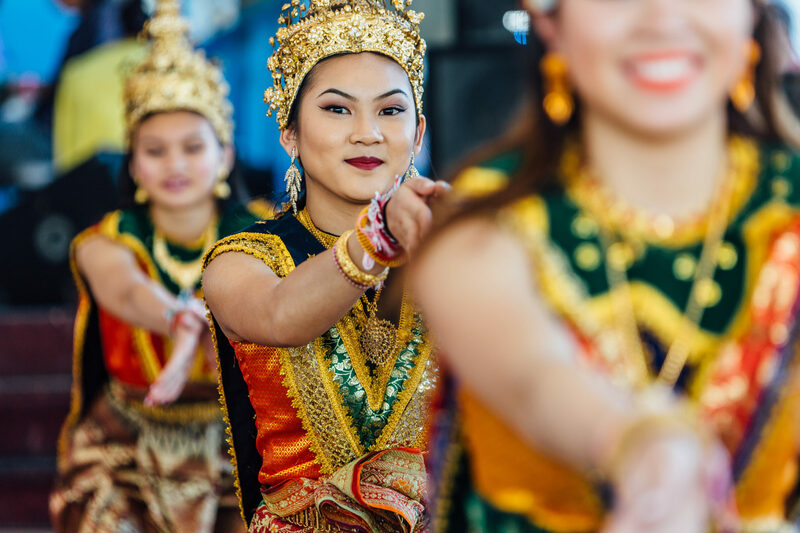 Ingram’s earlier downtown project, the Tennessee Performing Arts Center, had gotten so busy that the Nashville Symphony, one of several tenants, was struggling to get enough stage time for its performances. On September 25, 2000, the symphony played at Carnegie Hall in New York. More than 1,300 Nashville residents bought tickets for the performance, journalist E. Thomas Wood reported in “Nashville: An American Self-Portrait.” They included Mayor Bill Purcell, just starting his second year in office. At breakfast the next morning in Manhattan, Ingram told the mayor it was time to build a symphony hall. She said Purcell told her to come to the courthouse for a visit after they got back to Nashville. Purcell later committed $20 million in Metro funds and offered the symphony a choice between two properties. One was the former city hospital site on Rolling Mill Hill; the other was between Third and Fourth avenues, off Demonbreun Street in SoBro. The latter property had been the home of a fire station, as well as the Nashville Fire Department’s maintenance and repair shop, for about 50 years. Ingram preferred the hilltop hospital site. SoBro was a place “you just didn’t go.” But she says city planners ultimately convinced her that moving the symphony to the other location, in the heart of the city’s street grid, would be better for Nashville. The Metro Council signed off on conveying the property to the symphony in 2002, creating yet another public-private partnership that allowed the city to take an important step forward. The gorgeous Schermerhorn Symphony Center, named for the late conductor Kenneth Schermerhorn, opened in September 2006. Around the same time, one of Purcell’s signature projects made its own debut. Born in Philadelphia and trained at Vanderbilt University Law School, Purcell was a former assistant public defender, East Nashville neighborhood activist, state legislator and House majority leader. He had campaigned for mayor on the premise that education, public safety and quality of life were the three biggest needs a city had to take care of, the “three key lines of business.” By quality of life, he meant access to things like libraries, the arts, parks and public spaces. The most memorable part of Purcell’s winning, neighborhoods-first campaign in 1999 was a 30-second TV spot that showed him walking out the front door of his house and going to work at his desk – in his front yard. Although Bredesen and Purcell have had their differences over the years, “that ad is one of the best political ads I’ve ever seen,” Bredesen says. One day during his first term, Purcell and his deputy mayor, Bill Phillips, stood outside the Mayor’s Office on the steps of the courthouse, staring at the rows of cars in front of them. “We were talking about how, if we didn’t do anything else, we had to get rid of that ugly parking lot,” Phillips told The Tennessean at the end of Purcell’s tenure. Purcell believed the space just outside the people’s house should be the people’s gathering spot, a public square similar to the ones that were centers of activity in the city’s earlier days. In 2002 the mayor proposed replacing the parking lot with “a Public Square that is once again a place for us to gather” and moving the parking to a garage beneath the square, which would serve not only as a park but also as a green roof over the garage. He also wanted to renovate the courthouse itself, which was, according to the judges who had come to see him, “a sick building.” Consultants told the mayor there was no way for fresh air to come into the courthouse, which was built in the 1930s. The building needed to be brought up to code, and the heating, air conditioning and electrical systems needed work. The council approved Purcell’s plan, and the courthouse began reopening in phases in September 2006 after a three-year makeover. The new Justice A.A. Birch Criminal Justice Building, which houses the criminal courts, also opened that year on the other side of James Robertson Parkway. The Public Square was dedicated on October 1, 2006. The park includes an observation deck offering views of the downtown skyline, the Cumberland River and East Nashville. Panels placed around the deck detail the city’s history. The work in and around the courthouse illustrated Purcell’s focus on highly functional government facilities that make the people’s business a priority. He also completed the Richard H. Fulton Complex, which houses numerous Metro departments and services just south of downtown. Purcell also took that approach in his dealings with Metro departments, frequently using performance audits to correct problems and national searches to find the best leaders. And he pumped money into new schools, better salaries for police officers and librarians, superior equipment and the development of downtown housing, all with one ultimate goal: making the city a compelling place to live. “Assuming we can make the schools good for everybody, assuming we can continue to keep it safe for everybody, assuming the quality of life is protected for everybody,” he says, “they will come and they will stay. The Station Inn (lower left), a small club where you can hear some of the world’s best bluegrass music, remains a cornerstone of The Gulch, a former brownfield that has been developed into a popular, award-winning neighborhood. As downtown Nashville was blossoming, a new neighborhood was taking shape on downtown’s western edge. This wasn’t necessarily your typical redevelopment area. It was a contaminated brownfield, 60 acres of land hard by the railroad tracks, nestled in a geographical depression – a stretch known as the Gulch. But a developer named Bill Barkley saw the possibility of creating something interesting. When Barkley struggled to close on a contract for a piece of land that the CSX Railroad was selling, Steve Turner, his son Jay and their business partner, real estate attorney Joe Barker, stepped in to help. Steve Turner, who had moved downtown in 1995 with his wife, Judy, when almost no one else was living there, says he wasn’t turned off by the Gulch’s appearance. He had taken a chance on downtown, and now he saw a big opportunity to do something positive – and commercially viable – for the city. The Turners and Barker formed MarketStreet Enterprises in 1999 and soon started buying more Gulch properties, some of which were in pretty sad shape. Moss was growing on the ceiling of the Javanco/Farber building, and Barker remembers Steve Turner telling him playfully, “You’ve lost your mind.” But that became the company’s first mixed-use project in the neighborhood and now houses three restaurants, four retail stores and a record label. “Every retailer wants to go in there,” Jay Turner says. MarketStreet had a vision for an urban neighborhood, and even when the company only owned 15 of the 60 acres, it was selling that vision for the entire area. Maybe some people didn’t totally get it – one guy, flummoxed by the name, wanted to call it “Le Gulch,” Barker recalls with a shake of his head – but the idea kept moving forward. Mayor Bill Purcell appointed MarketStreet as the Gulch’s master developer and made infrastructure improvements, such as rerouting 11th Avenue South, that gave the area legitimacy in the marketplace. A defining moment came when the condominiums in MarketStreet’s Icon building, which had opened just before the market crashed in 2007, finally started selling. The influx of residents “was a game-changer,” Jay Turner says. 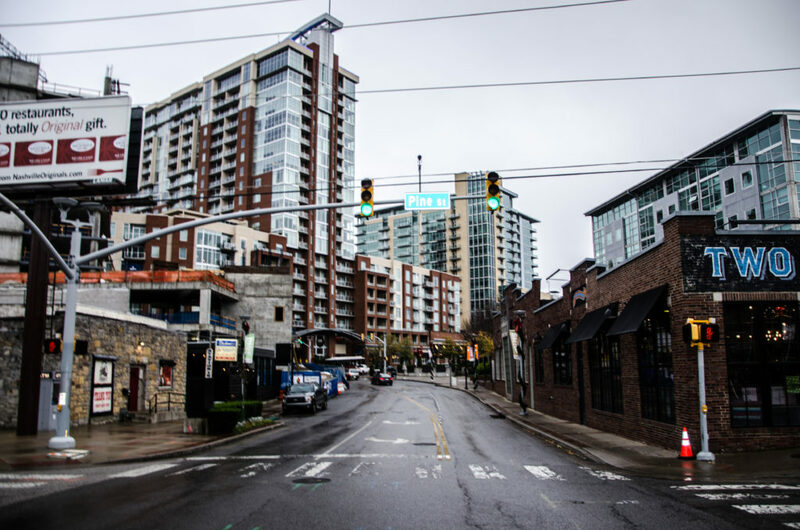 With multiple developers continuing to build there, the Gulch is a nationally known neighborhood. It was the first neighborhood in the South to earn LEED-ND certification, reflecting a commitment to green building and smart growth. MarketStreet’s Gulch Crossing office building, which opened in the summer of 2015 with 205,000 square feet of Class A office space above ground-level retail and an outdoor staircase connecting pedestrians to Demonbreun Street, provides another impressive, mixed-use anchor. Ralph Schulz, president and CEO of the Nashville Area Chamber of Commerce, says executives who visit the city are always impressed by the Gulch.